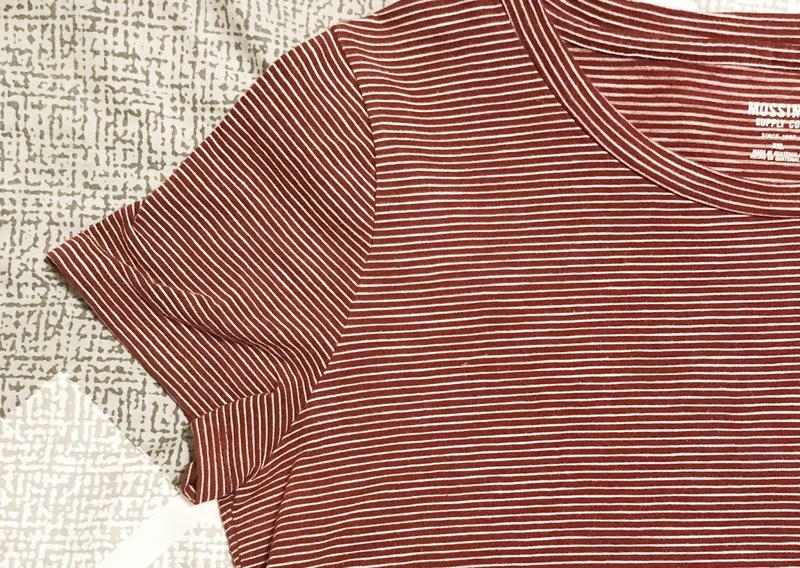 I have thing for striped shirts. I buy and wear a ridiculous amount of them. Black and white stripes are my go-to, but sometimes I'll buy other colors, too. 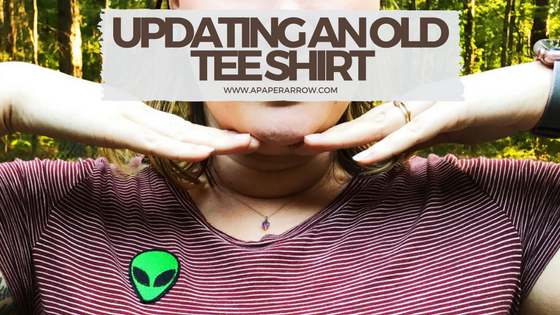 Every once and a while, I end up a little bored with the shirt or wanting something new without having to actually buy a new shirt. 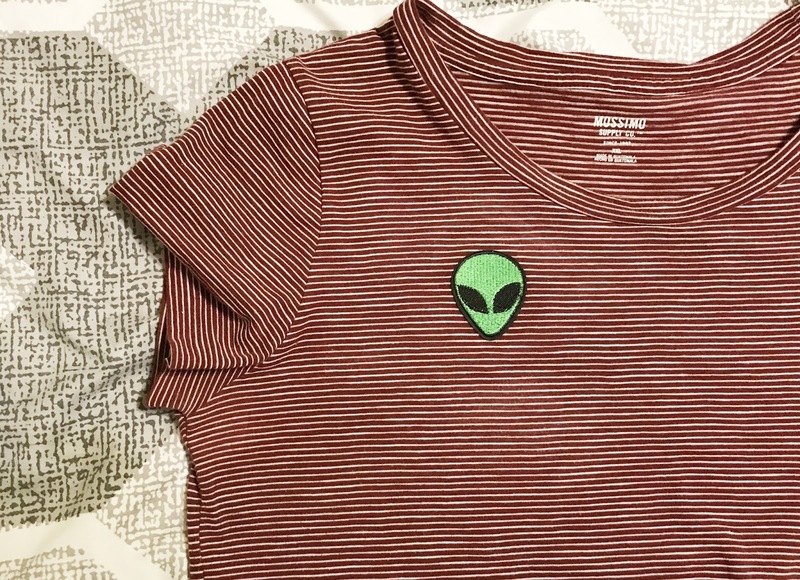 I'm super into aliens, and have wanted one of these Brandy Melville tops for a while, but they can be difficult to find (especially in my size). 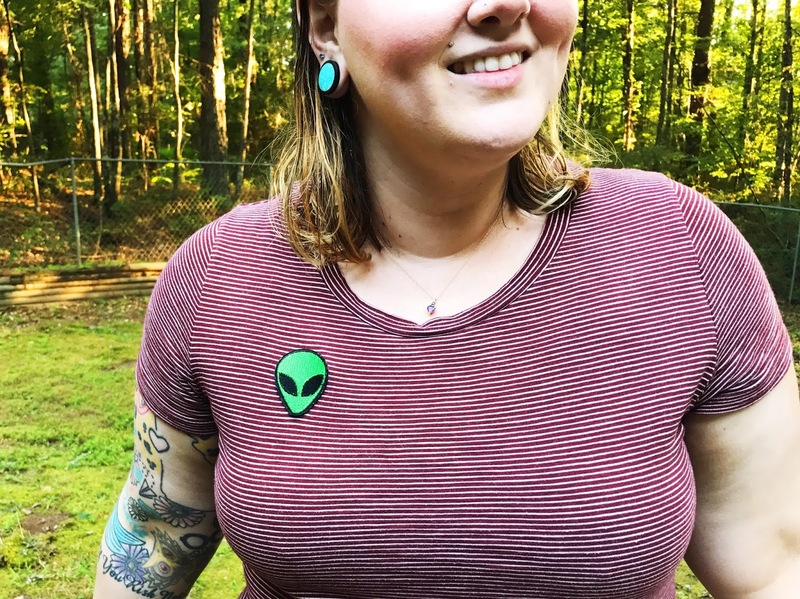 Zumiez carries a similar shirt, but they are always out of the size I need. 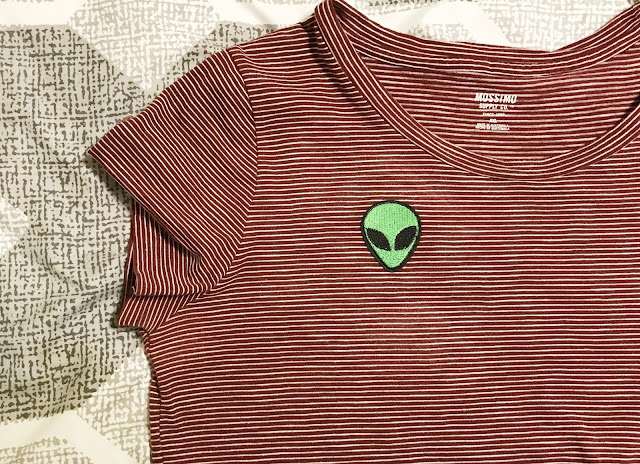 So I took matters into my own hands with a shirt I already owned and an easy iron-on patch. 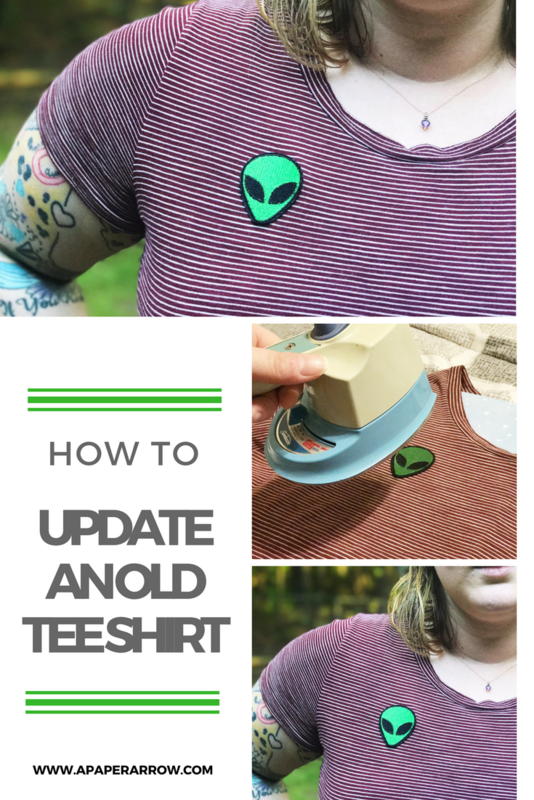 So, it's easy enough to do - however, if you plan to take this route, make sure to read any directions that come with your iron-on patch and adjust your heat settings per your iron. 1. Figure out where you want to place your patch(es). I put my shirt on to figure out where the patch would lay while wearing it. Make a mark to know approximately where your patch with go. I used the lines on the shirt to line mine up. 2. Turn on iron and set on medium-low setting (refer to your iron-on patch directions). 3. Place cardboard separator inside shirt and lay flat on a solid surface. 4. 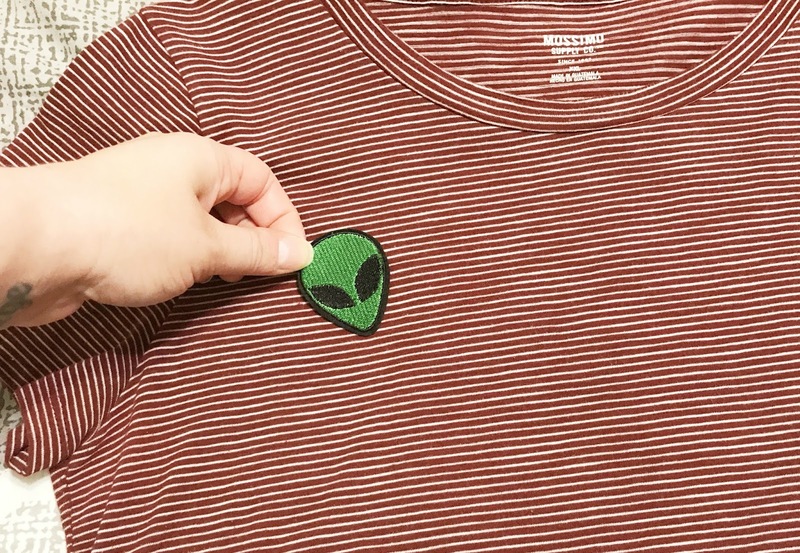 Place patch on shirt and gently press patch with iron for approximately 10 seconds. 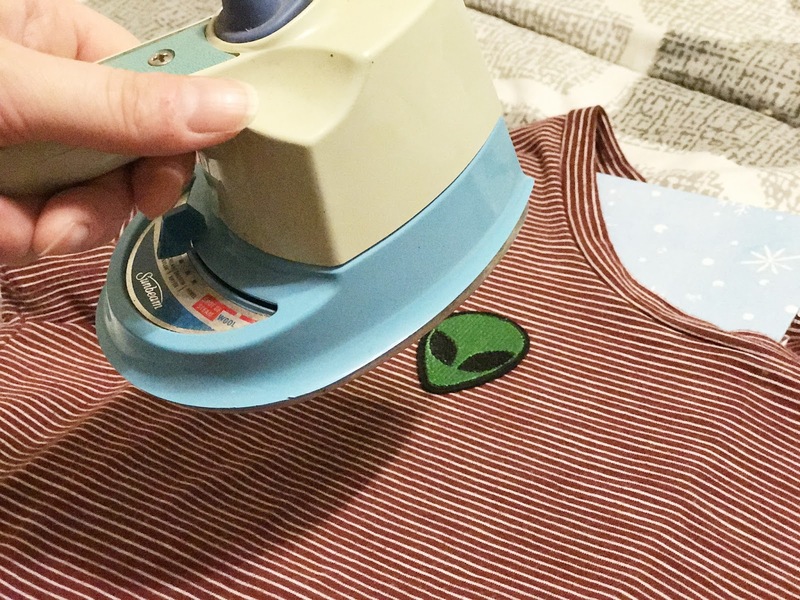 Make sure not to hold the iron in one place for too long, or you could burn your shirt or patch. 5. Gently smooth iron back and forth over patch paying close attention to the edges of the patch. 6. Let cool for about 30 seconds. 7. Flip shirt inside out and place cardboard separator back inside the shirt. 8. Feel for the patch and gently press iron onto the patch (from inside the shirt) to make sure the patch is safely adhered to the shirt. 9. Repeat steps 2-8 as many times with as many patches as you want. 10. Flip shirt right side out again, and voila! You're ready to wear your new(ish) shirt! 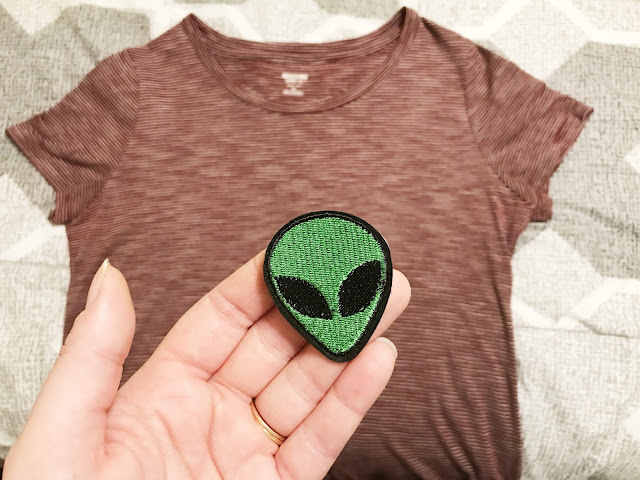 What types of patches will you put on your shirt? 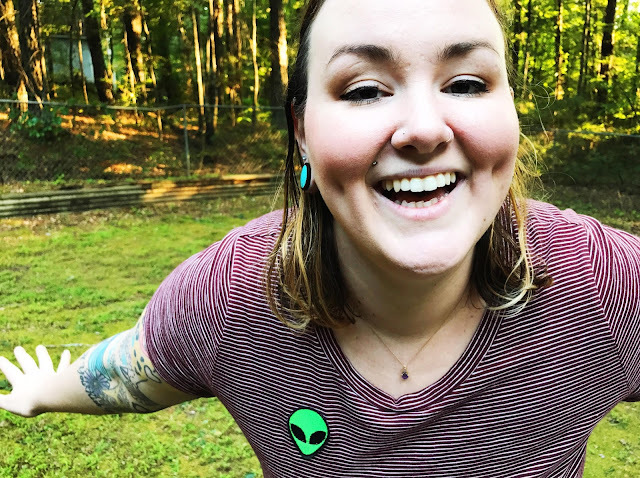 I can't wait to see what you create, so share photos of your shirt(s) with me by tagging me (@kaylakedavra on Twitter and Instagram). Great idea! I used to put patches all over bags back when I was a punk teen lol. 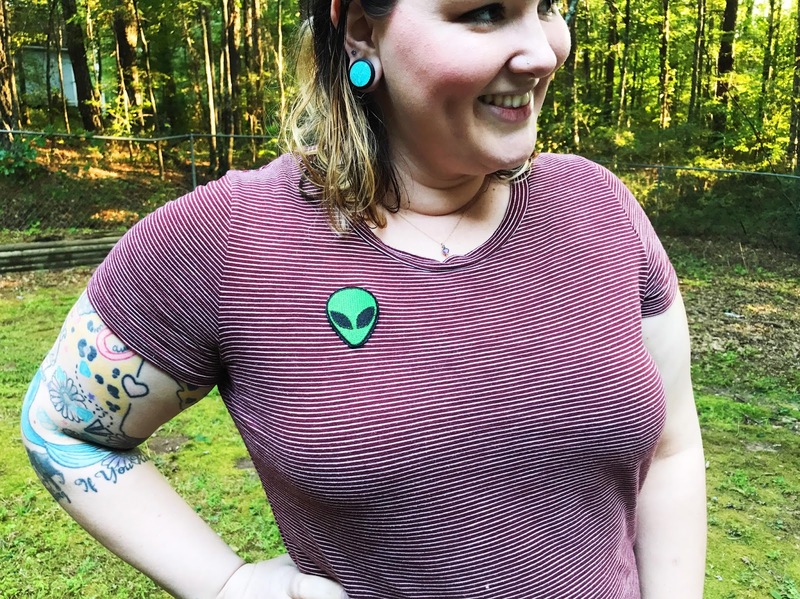 SUPER cute idea- I love this Kayla!